The South American culture consists of strong female figures, and there is no doubt that in the majority of families across the continent, celebrating Mother's Day is one of the most important events in the calendar. Much like the rest of the world, traditions such as giving greetings cards and gifts to the mother of the family is an important part of Mother's Day. However, there are also plenty of other traditions that have developed over the decades, and these are well worth investigating. Depending on where you are in South America, Mother's Day can be celebrated at different times of the year, with Argentina being the stand out example, hosting its Mother's Day on the third Sunday in October. The majority of countries in the region actually celebrate Mother's Day on the second Sunday in May, including Brazil, Chile, and Ecuador. However, there are a small number of other exceptions, as Bolivia celebrate the festival on 27 May, and Paraguay's date will sometimes be almost matching with the rest of the continent, as they celebrate on 15 May. In Bolivia, the Mother's Day celebrations have been combined with the Independence Day celebrations, and this is because that in many parts of the country the women of Bolivia stood shoulder to shoulder with fathers, husbands, and brothers in winning the battle against the Spanish colonial forces. Today, schools in Bolivia prepare performances for their parents on this theme, while others will create large artworks or displays celebrating the role of mothers in the Bolivian culture. 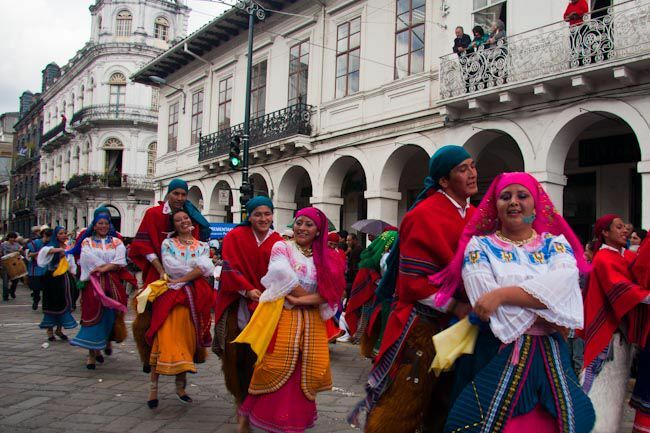 In Ecuador, one of the traditions among the men and boys is that they will form groups with guitars and will then sing some of the traditional songs of the country on this day, particularly those that praise and glorify the mums of the country. They will then take their songs around the homes of different mothers in their villages and towns and will serenade the women with performances of heartfelt singing, but varying quality at times! The traditions in Brazil have been becoming more materialistic and Westernized over recent decades, with gifts and flowers playing a more important role in the festival, but one of the traditions that does continue is that children will prepare performances for their mothers through their schools. These will combine presentations, singing, and musical performances, and are usually enjoyed by often tearful mothers. As well as celebrating Mother's Day in the same way as many other countries, one of the more unusual traditions to be found in South America is that in Peru, where families will gather in the cemetery. This is a way of remembering the mothers who are no longer in the world of the living, and this will involve leaving floral tributes, prayers and remembering the lives of those who helped to build the families that are alive today. Mother's Day in Paraguay has been chosen on the same day as the country's Independence Day, and this is to respect and remember Juana Maria de Lara, who played an important role in leading the independence movement in the country in May 1811. On this holiday, schools and children will present poetry that celebrates the role of mothers in the country, while many verses will also be dedicated to their own mothers and how important they are to the individual children.